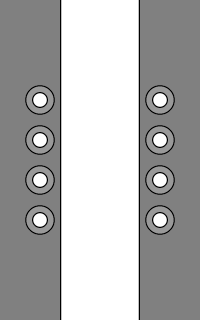 A version of Asterisk Lacing using U-Lace no-tie laces instead of regular shoelaces. Forms a series of asterisk [*] symbols. 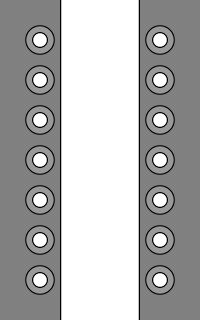 • Use two U-Lace segments to lace a tall "X" from eyelet row 2 to row 4 (skip past one row). One segment runs up and left, the other runs up and right. 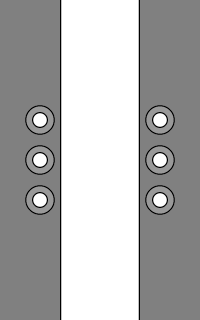 • Use a third U-Lace segment to lace straight across the middle of the tall "X", completing one asterisk. • Continue up the shoe, using sets of three U-Lace segments to lace another asterisk between rows 5–7. 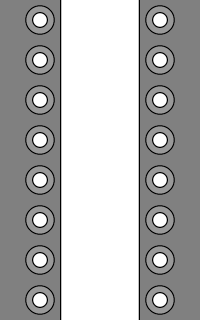 • On shoes with 10 or more eyelets, continue lacing asterisks between rows 8–10, 11–13, 14–16, etc. • If necessary, complete the lacing with a single U-Lace segment straight across the top eyelets. 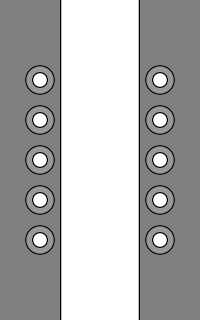 • Use two U-Lace segments to lace a tall "X" from eyelet row 1 to row 3 (skip past one row). One segment runs up and left, the other runs up and right. • Continue up the shoe, using sets of three U-Lace segments to lace another asterisk between rows 4–6. 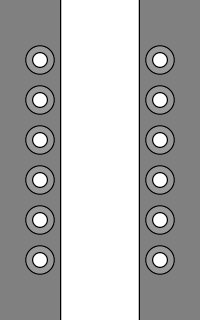 • On shoes with 9 or more eyelets, continue lacing asterisks between rows 7–9, 10–12, 13–15, etc. Converse Chuck Taylor All Star Syde Street Leather Mids with U-Lace Asterisk Lacing.